April 7-- Funeral services for Mr. Donnie Beasley of Tarrytown will be held Monday, April 8, 2019 at 11 AM in the Chapel of Higgs Funeral Home in Soperton. Burial will be in the Beasley Cemetery in Treutlen County. Reverend Allen Green will officiate. Mr. Beasley, 30, was born in Vidalia, GA and had lived all of his life in Treutlen County. He attended Treutlen High School and was a welder for MODUTEK in Soperton. He loved to hunt, fish, play softball and he was Holiness by faith. His son, Dalton Chase Cole Beasley, preceded him in death. He is survived by his fiancé, Erin Foskey; mother & father, Louella & Donnie Beasley of Tarrytown; four sons; Jace, Brayden, Bryson & River Beasley; five sisters, Janie Ricks of Kite, Becky (Michael) Collins, Lori (Brad)Clements, Sara (Eddie) Vongsouvanh & Sherry (Nick) Livingston; brother, Otha Beasley, Jr; grandparents, Otha & Mable Beasley; all of Tarrytown and numerous aunts, uncles, nieces, nephews and cousins. Pallbearers will be Jerry Lyles, Jr., Brandon Lanford, Blake Harrielson, Dillon Graham, Hunter Lanford, Nick Hester and Skler Lanford. Visitation will be held Sunday night from 6-8 PM at the funeral home. 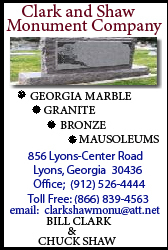 Higgs Funeral Home (higgsfuneralhomeandflorist.com) of Soperton is in charge of arrangements.